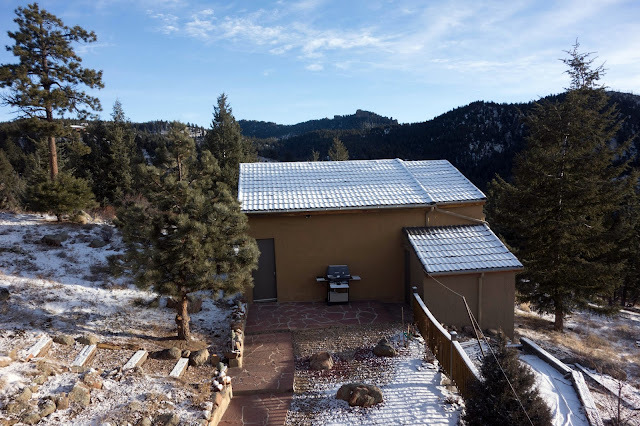 On Friday, Beat closed on a house in a quiet mountain neighborhood located in the hills above Boulder, on the western side of the Flatirons. Home-ownership is something Beat has wanted for a few years now, but it wasn't practical or desirable in the Bay Area, where $2 million affords a 180-square-foot shack on purportedly desirable land. Beat's wish for privacy, space, and a much better man cave than our bike-crowded two-bedroom apartment was part of the impetus for leaving the Silicon Valley. 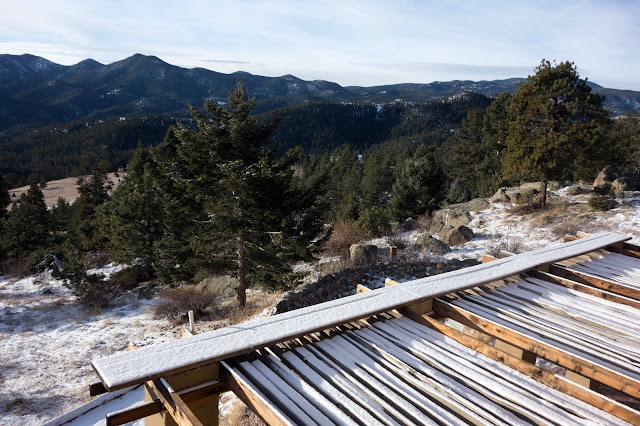 We spent many relaxing evenings daydreaming while scrolling through real estate listings in Alaska and Switzerland, but practicality pushed us toward Boulder, Colorado, where Beat could continue to work for Google. After only a weekend of house hunting before Christmas, we stumbled upon this place that was unbelievably perfect for us. Located at 7,100 feet elevation, it's 25 minutes by car to the center of town, 12 cycling miles, and 7 or 8 running miles. It was built and previously owned by an interesting British couple who styled it with a number of unique features, such as hand-carved railings and 300-year-old fortress doors from India. Although they're quite fit for people in their 80s, the couple was starting to feel the strain of mountain living, and decided to move closer to their children and families in Houston. But they didn't want to sell their place to just anyone, and Beat happened to come along with the right attitude at the right time. We've since heard the stories about a number of potential buyers with whom it didn't quite work out over the past year, but for us this happened at whirlwind pace. Beat's work transfer isn't until April, so we have a couple of months before the big move. But we had a short time to check out the grounds over the weekend. I'm still in shock over the series of events. 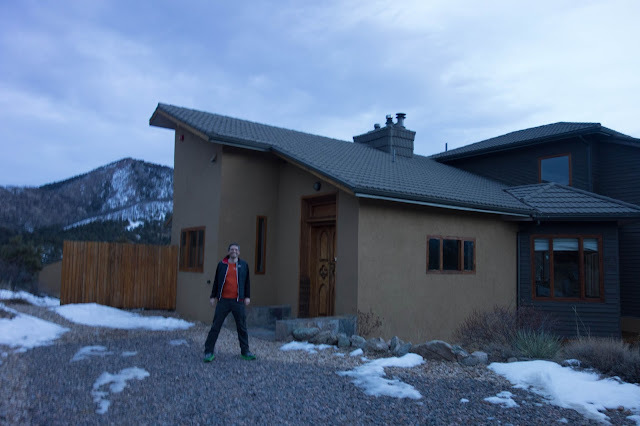 Back in November I was skeptical that we'd leave the Silicon Valley within the next few years, and by January, Beat had purchased an expansive mountain property in Colorado. It's a lot to take on compared to apartment living in California. I picture myself taking up landscape painting and vegetable gardening as new hobbies ... and housework, of course. It feels overwhelming at times, but it's exciting for me as well. I entered my 30s living out of my car in Alaska, so I can appreciate both semi-nomadic living and the opportunity to settle down and explore. 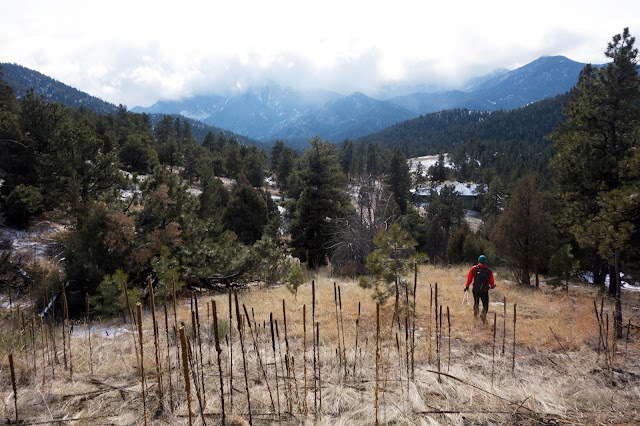 On Saturday we set out to find the most direct route to South Boulder Peak, an 8,500-foot summit that looks like it's practically in the back yard. 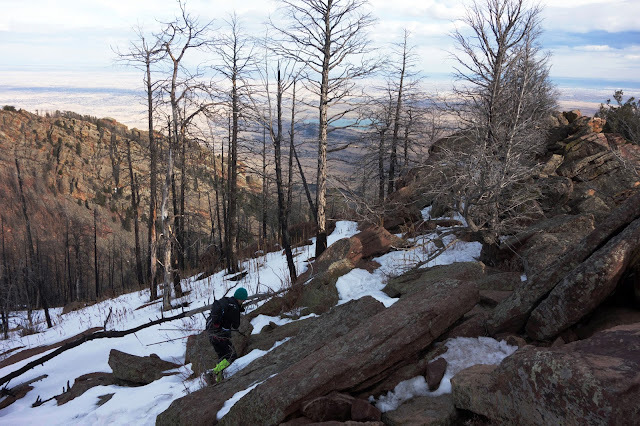 There was some burr-coated bushwhacking and slogs up 45-degree slopes to reach the ridge, where rotten snow conditions caused us both to roll ankles and wrench knees in hidden rock hollows. I'll admit off-trail 'shwhacking is not my favorite activity, but using that method, it's only 1.75 miles from home to the summit of South Boulder Peak. I don't see myself doing this a lot. Looking west. 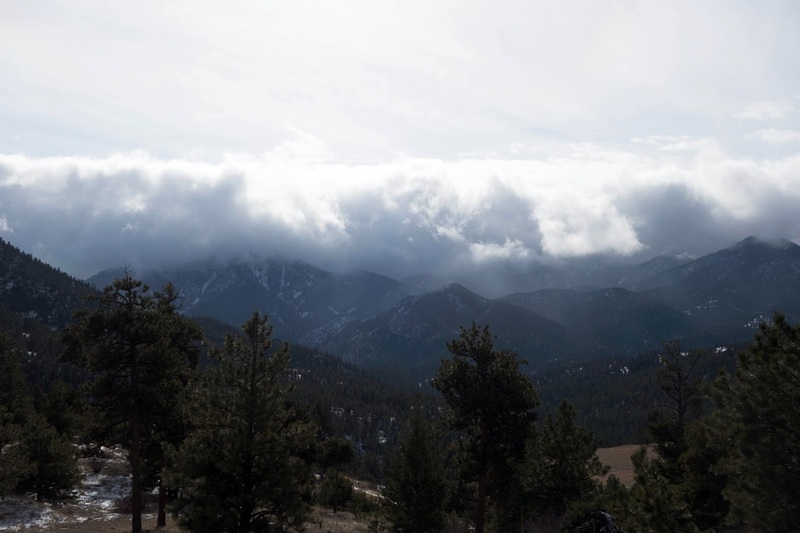 On a clearer day I think it's possible to see some of the larger peaks along the Continental Divide. Watching the weather come in. 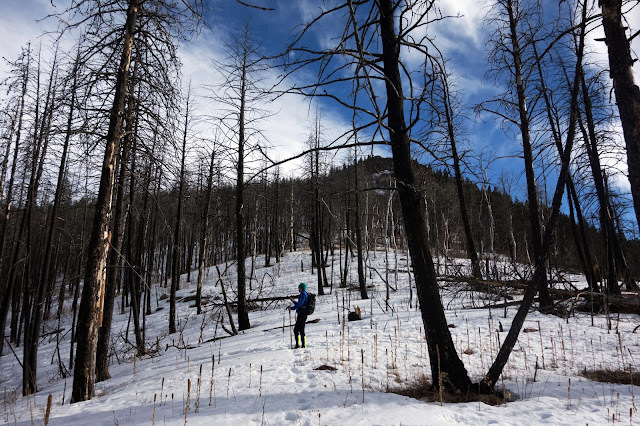 The forecast for the mountains called for 12-24 inches of snow, starting Sunday night. We were scheduled to fly out of Denver at 8 p.m., so we just missed the storm and potential to be stuck up here for several more days. Darn. The property sits on 35 acres of land, so in the morning we set out with a GPS to walk the perimeter. It's a long, thin strip of land, but I had no concept of just how much space 35 acres encompassed, because it just kept going and going. Along the way we found a few small bouldering spots. Another potential new hobby? The wood pile. Beat has already purchased a used chainsaw and a splitting maul. He's excited about becoming a mountain man this spring. Our busy street, with Green Mountain in the background. Beat's property is bordered on two sides by city park property. A small creek cuts through the land. Although we did some zig-zagging, we walked 2.2 miles to circle the property. It's a surprisingly large space, and rugged. Lots of steep slopes, gullies, and rocky outcroppings, but there is some useable space. The previous homeowner even passed on a permit to build a small office building, but Beat is more interested in erecting solar panels. After our perimeter walk we went for a short run on the Walker Ranch loop — which is bike-legal and seems like a potentially great trail for mountain biking in the summer. I imagine going for long gravel grinders on mountain roads, combining them with hikes in the Indian Peaks wilderness, heading east and exploring the prairie ... so many possibilities. First I'll have to hope for some changes in my asthma and acclimation, because my fitness up here is relatively terrible. Really. 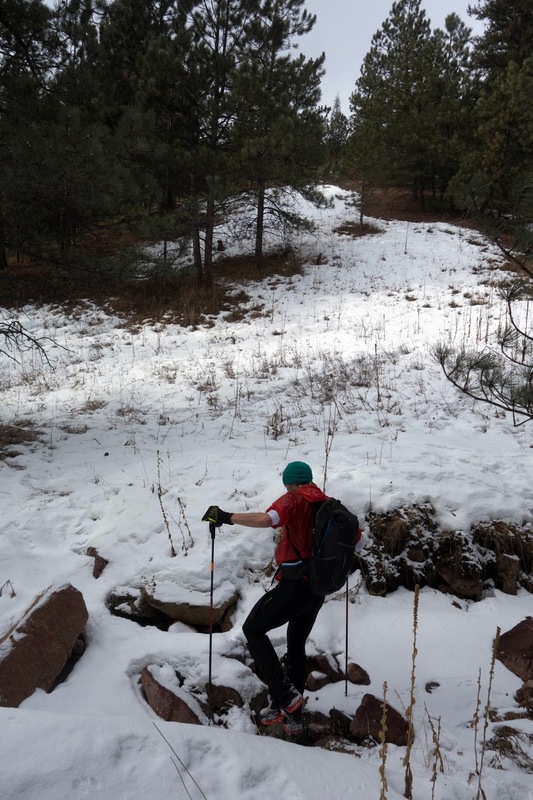 I'm winded almost all of the time and had a pathetic week of training while I was in Colorado. Still, it's a beautiful place to walk along slowly, wheezing and smiling. Neat place. 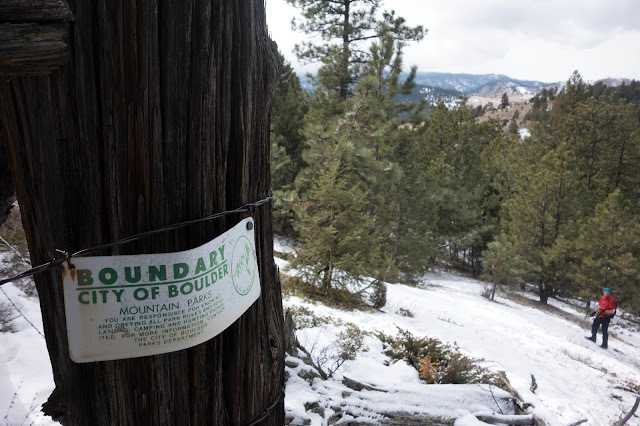 I recognized it right away since that is the only spot in Boulder I have been on a trail! Lots of big cats. Long-time reader and Denverite here writing to say congrats! Wow. Hit me up if you need hiking friends...or if you get into climbing. I could always use more fun partners! 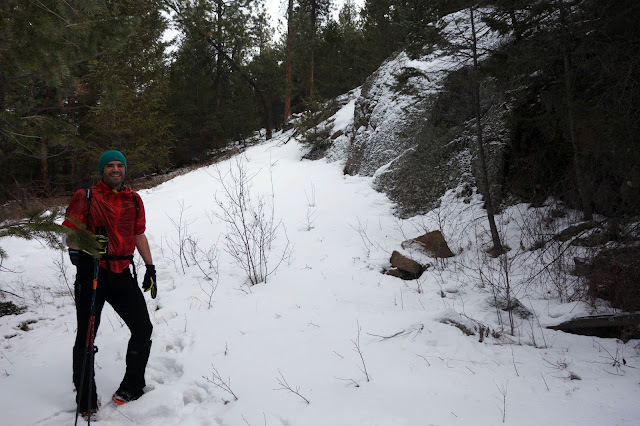 Also, you two should do the Golden Gate Dirty Thirty in Black Hawk (June 4). It's a slow, hard, pretty race. Right up your alley. Congratulations to Beat. I look forward to reading the next chapter in your life story centred here. That place looks amazing! And 35 acres? In Colorado? Wow. I am feeling a tiny bit jealous at the moment. Not very much snow in those pics! 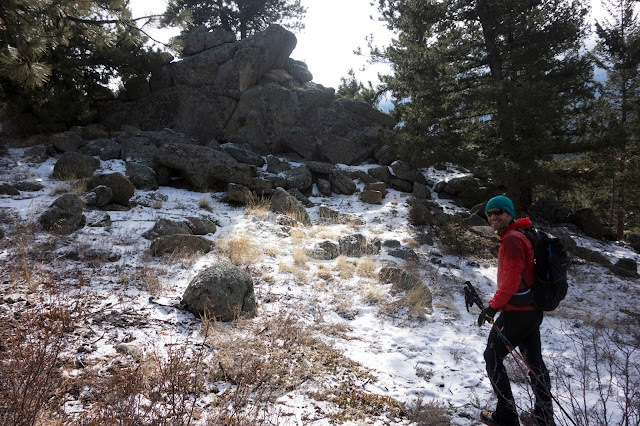 It was crazy warm while we were in town — 62 degrees in Boulder last Thursday. Judging by post-snowpocalypse photos I've seen from friends on the Front Range, I'm guessing there's a lot more right now! Congrats on a wonderful change! I just saw that TMan mentioned the big cats. As a biologist, I love big cats, and I have lots of fun capturing their images with trail cameras near my house. I have a series of photos of a healthy lion who passed our house in my blog post today. As a local, I was able to figure out which property you'll be living on. Very nice! I saw your photos — fantastic. We saw several groups of deer while we were walking the property, and it seems logical that there are cats nearby. I'd love to see one someday. Will have to see though when run these trails to/from work at dusk/dawn I presumably will increase my chances of running into one (and bear sightings are much more likely of course). Do put in some trail cams on your routes to see if they're checking you out! They probably will be...but that's good. If they know about you they're even less likely to be a problem. 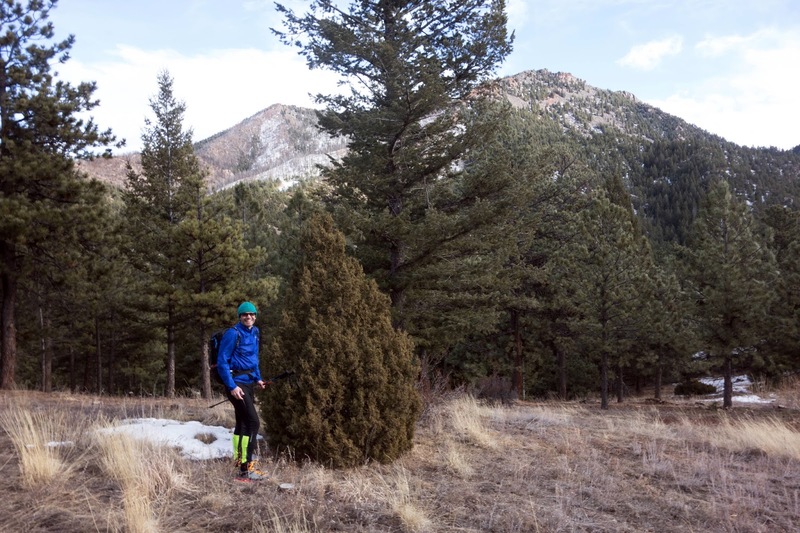 Until recent years, when so many people have moved into the wilderness edges, there had never been a report of a cougar attacking a healthy person. Whoa, this looks like a dream! Congratulations, you two. I recently finished your Great Divide book and am now working my way through Arctic Glass. They've made my commute so much better, thanks for writing! Also congrats on the house, looks perfect for you. Wow, this is awesome! We'll be moving to Loveland soon enough, so neighboring not far out:) Congrats! Sooooo...are you guys gonna build some mtb trails on the property or what? Pump track?? Congrats you guys, it looks amazing. Can't wait to visit! Awesome, congrats! I used to utilize that N/NW ridge on SoBo often after the June 2012 fire (accessed from the Bear Peak W/Ridge trail). It was great because all of the vegetation had been cleared out and I could do it undetected (SoBo was closed for nearly a year), but the post fire vegetation that has sprouted up has become annoying enough (burrs, sticky things and chaffing), that I have given up on it. I guess if you tracked it out enough and wore pants, it would not be too bad. 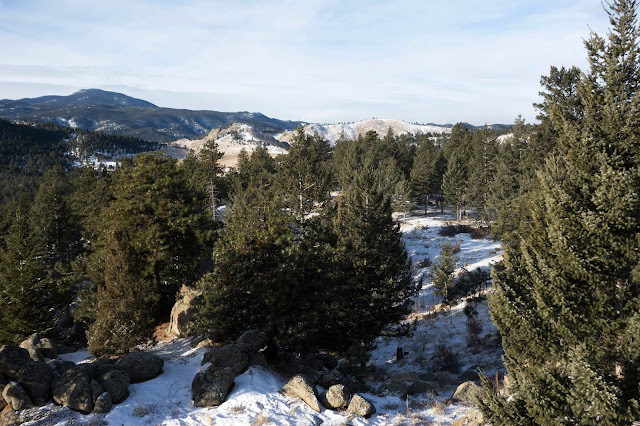 From your new place, it would probably be much easier and more pleasant though to run up Bison to the W. Ridge access gate and hit the Bear Peak W. Ridge trail and go over Bear on the way. Either way, so many options, you'll love living there! Welcome in advance. Thanks all! We're looking forward to new explorations. Thanks everyone. We'll definitely be very happy to meet up with new and old friends in a new to us place! I think it'll suit us well. Olga - that's great news! From my perspective, we looked long and hard, and I purposefully did not want to go for the city convenience. I want to challenge myself to run or bike to work more often than drive (and then will get a very solid workout!). 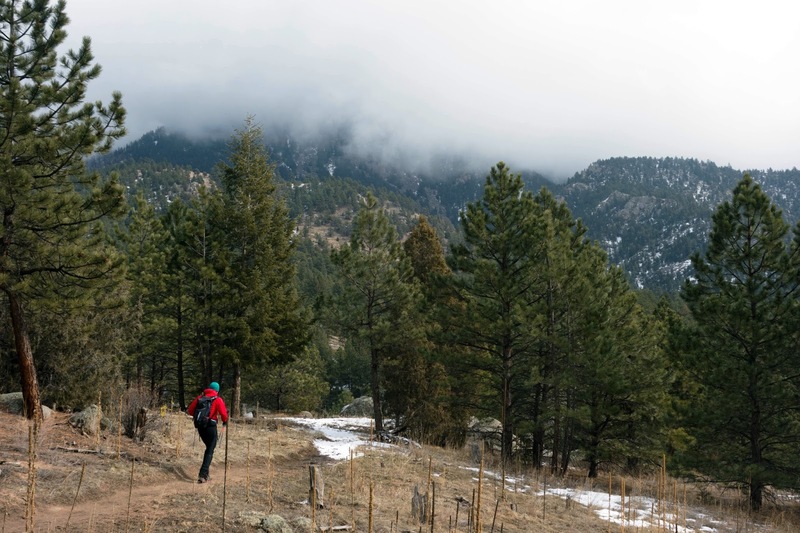 The area is unique in its proximity to fantastic trails, the ability to run/bike to work, the lack of through traffic, and general beauty. While it's definitely not the most practical place, it sure will make me happy every time I come home. Even the drive - while lengthy for Boulder standards - isn't bad coming from here: 25 minutes normally of windy gorgeous road - as opposed to 30 minutes of standing on 8 miles of freeway. Of course in real winter conditions this will be a challenge but at least it's mostly on a school bus route. The new neighborhood is also right up our alley - people who are generally very friendly, but also private and leave you alone. Pretty much how we are. We also looked at Table Mesa and Chataqua areas as other areas that afford human commutes to work and immediate trail access, and prices there have totally skyrocketed. Plus its way busier close to the trailheads. I also didn't originally want this much house or land, but there's very little available in this area - I've looked for many months. Congrats on the property! Boulder is a hot spot for real estate in CO so I know you'll be happy. I regularly run Walker Ranch so maybe I'll catch you at some point! Up near Gross and Walker Ranch? Nice, the last few miles of the climb sure are steep, feels liked you're gonna snap your bicycle chain. Yay! Congratulations Jill and Beat! Looks like an amazing property and location for you. Balancing the "must haves" versus "nice to haves" seems especially challenging in a hot real estate market, so it looks like you guys checked all the right boxes. It sounds like a really special and unique place. Excited to see what new adventures await you there! So happy and excited for you!! 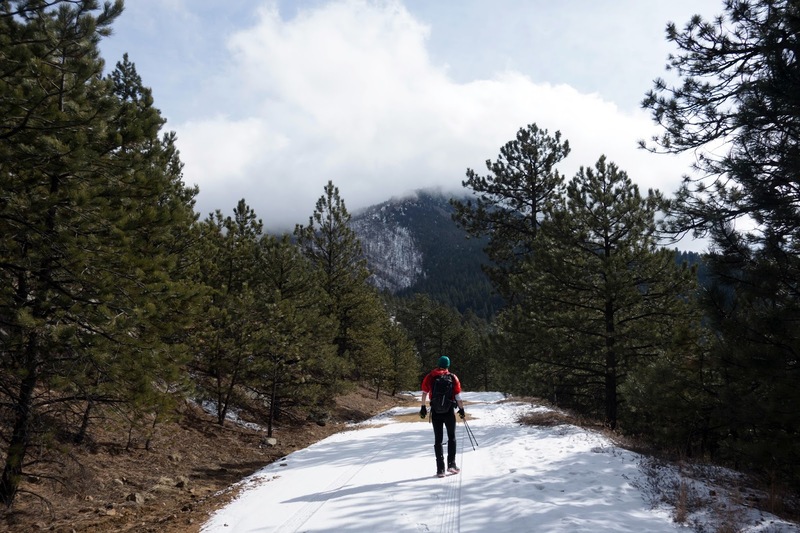 Also, here is a blog I love about living high in the mountains of Colorado. OK, a lot of it is about her dogs - she is an amazing dog trainer, but there are also tons of posts and pictures about fat biking in her own backyard (and dealing with the moose and wildlife), other places she and her husband camp in Colorado, her trail cameras in her back back backyard (maybe another new hobby for you?) and living so far up in elevation. Beautiful blog. Makes me soooooo want to live in the Rockies. I read regularly but rarely comment here, but I wanted to say congratulations on an amazing property and start of your next big adventure. What a fantastic place the two of you have, I wish you many happy years there exploring. Congratulations Jill and Beat! What a lovely home and beautiful area. It looks perfect for you both. I wish you all the best with your move and your new adventures & explorations! What a wonderful next step in your life together. I find it interesting. When other people buy their first house all they talk about is the house. All you talked about is the property and location to outdoor activities. Guess it sums up what is most important to you and Beat. What a great location it sounds like. Have fun! Looking forward to reading about you exploring your new mountain home. congrats! look forward to a new book set in our colorado! Congrats, you guys! You're just a stone's throw from my favorite neck of the woods, Estes Park. You will love all the huge wild places to explore in Colorado! Very nice and we are kinda neighbors now. Come up and enjoy RMNP. Not so good for cycling but un-matched for the trails and places to see by foot. 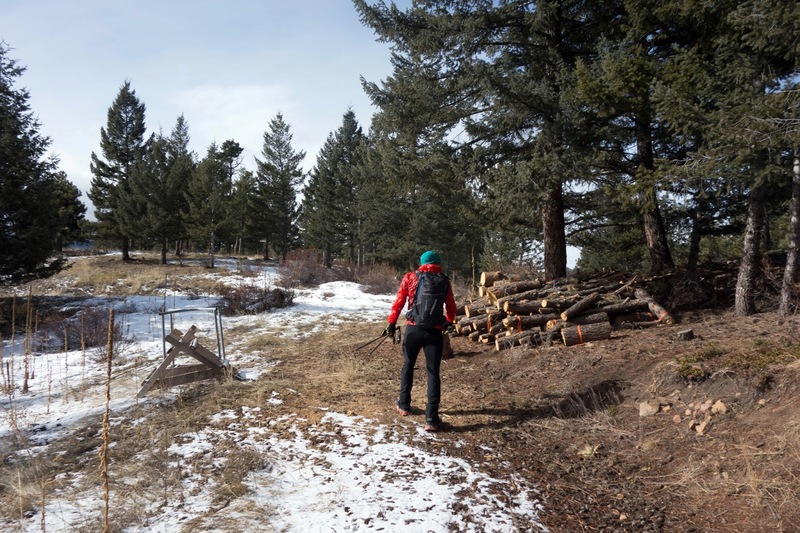 There are so many places out your back door to explore on your bikes and fatbikes. 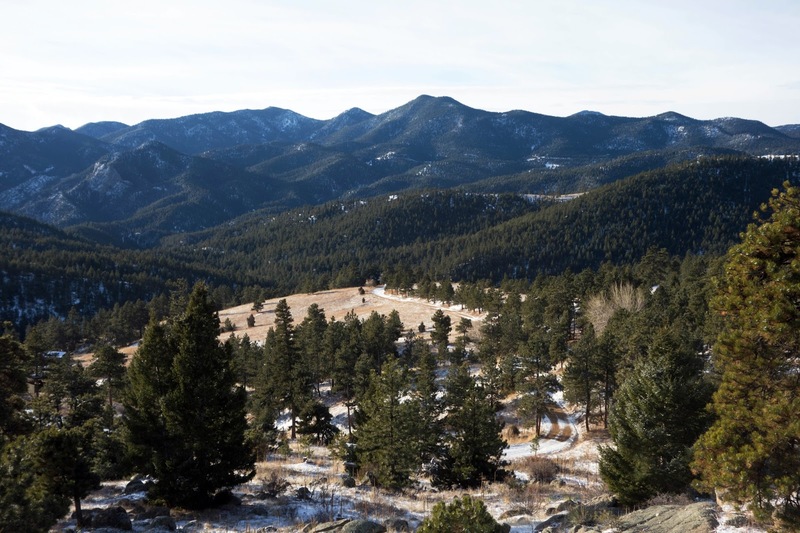 You will love living here in Northern Colorado. I sure have!!!! Very exciting...know you will just love it! Oh my! Jill this is beautiful. I'm sure your breathing will adapt. Beat's face is a picture. All the joy! I am so excited for you guys! Looks perfect!